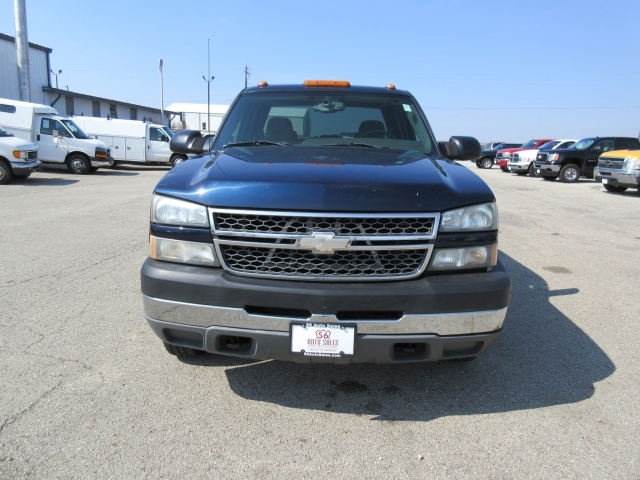 If you are searching for Chevy trucks Ohio, then look no further than here at 56 Auto Sales London. Do you want to find a pickup truck that has a lot of power and versatility and to have all the functions you need for daily use? 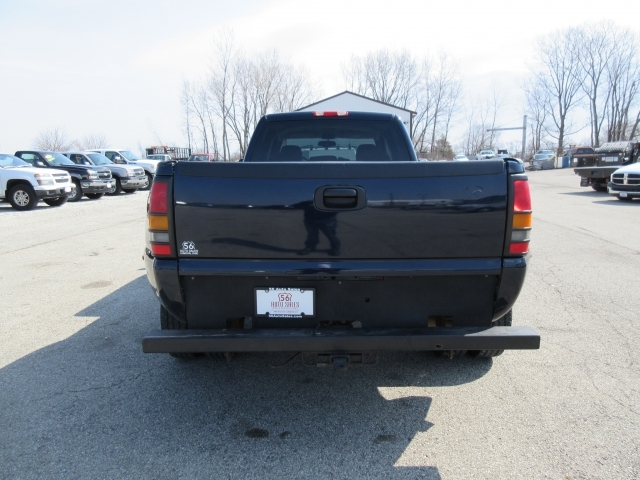 Then you dont want to pass up this opportunity to stop by and take a look at the 2005 Chevrolet Silverado 3500 Crew Cab Pickup truck we have for sale. This Chevy truck has four-wheel drive, a 5-speed Automatic transmission and has Dark Blue Metallic Exterior and a Medium Gray Fabric Interior and comes with Front Tow Hooks, Daytime Running Lights, Auxiliary Power Outlet, Heated Mirrors, Power Mirrors, a Single-Disc CD Player, AC, Cruise Control, AM/FM Stereo, Dual Rear Wheels, Rear Window Defroster, Keyless Entry and a Diesel Fuel Engine. So if you are looking for used trucks for sale, and this one would be suitable for you, come by today and take a look at it or any of the inventory we have here at 56 Auto Sales London. We have more than trucks; there are sedans, minivans, and SUVs as well. Whether it's a diesel, a 4x4 or cheap used trucks for sale Columbus Ohio, that you are searching for or perhaps you want to browse the dealership and see other vehicles, then you should come by and see us at 56 Auto Sales London. We have a variety of used cars, trucks, SUVs in different makes and models and if you are on a budget, we have vehicles for sale that are sure to make you happy when you see how much money you can save on a used car. Whether you pay cash or need financing, you will smile when you know you have a dependable vehicle at an affordable price. 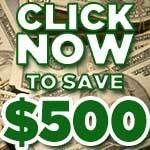 We also have vehicles on our lot for under 5k, and we have other cars for under 10k, so it's a matter of how much you want to spend on buying a used vehicle. If you may be considering to trade in your old car, come by and talk to one of our sales staff about how you can sell your vehicle as a trade in for another car you like at our dealership. 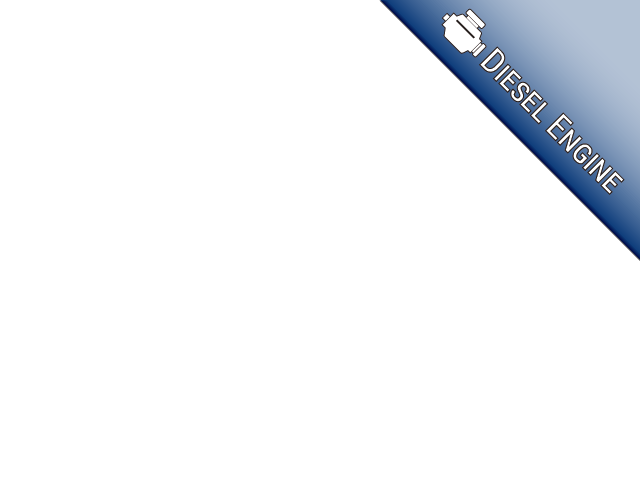 You will get a quality used vehicle at a price you can afford whether you are looking for diesel trucks for sale near you, an SUV, minivan or sedan, or perhaps one of our other commercial vehicles here at 56 Auto Sales. If you want trucks for sale near you, like the 2005 Chevy that we have for sale, come by and check it out, you can also take it for a test drive, or browse the dealership to see more vehicles we have in stock. It can be overwhelming when you know what you want and have been unable to find it, but when you stop by to see us at 56 Auto Sales London, you will find something that meets your needs as well as your budget. Come on by and talk with us today!